My latest 52Rolls post is a continuation of the film version of my trip to Gwaii Haanas last summer. Just a few of these photos have been seen on this blog, so you will probably want to follow the link over to 52Rolls to see most of this roll of film. As I explained in my recent post Sandspit – Haida Gwaii I spent time working on a schooner in Haida Gwaii last summer. 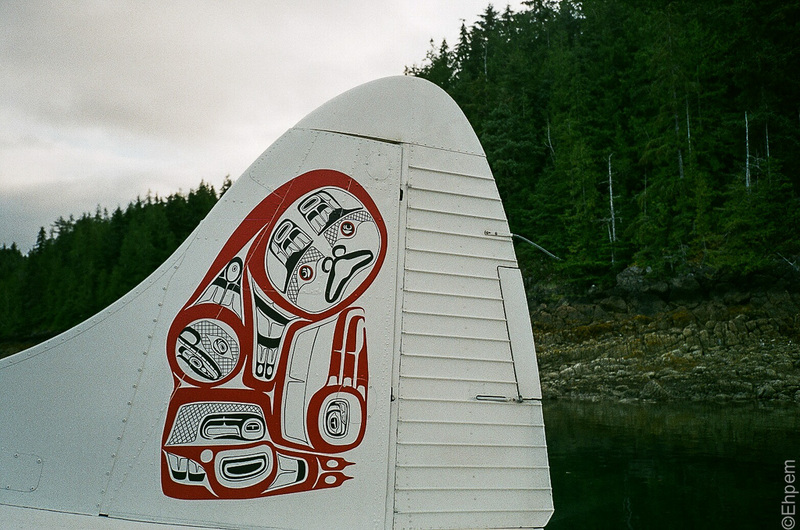 This roll of film documents the ride from Sandspit down to Gwaii Haanas in a De Havilland Beaver float plane, and then a few days of cruising aboard the Passing Cloud. See this link for a map of the general location of Gwaii Haanas. These shots are made with an Olympus mjuii (aka Stylus Epic) but there are many posts shot with digital cameras on my blog made on this trip (here). The doll Tansy in one picture is carved by my wife, and travels with me and others on many adventures. Her Haida Gwaii trips can be found here. This is my roll 31 for 2016.